I need to say a few words about the mounds constructed by the ancient people here in the southeast and in Florida. 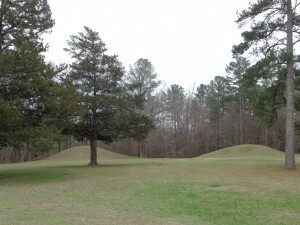 Some people call them Indian Mounds, but I think that is a term that is too limiting, because there are earthworks of numerous shapes and sizes. Various functions and make-ups. The characteristics are almost as different as individual people are from one another. Florida now has 200,000 sites listed on the historical and archaeological site files for the state of Florida. Anything from historical buildings, cemeteries, and thousands of these archaeological sites and mounds. There are thousands of mounds and earthworks in southeastern United States, up the Mississippi River Valley, into Minnesota and out to Oklahoma and Texas. The scope is vast, and people lose sight of the fact that they do hold significance to Native American Indians living today. Almost everywhere in Florida you walk, someone else walked centuries before. I have watched several of you on YouTube climb over the ancient earthworks on your videos. I don’t mind people visiting these places. Few of these videos are interesting. They think they are being educational, but most videos really have no educational value other than alerting people to the fact that these places are there. This blog has been written for those of you making these YouTube videos. Please start showing more respect and dignity around these Mounds. I understand that a lot of what you are doing on the videos are out of ignorance, but many times it can be annoying and offensive to those of us who follow the culture of the southeastern Native American tribes. You may not be aware that some of the things you are doing could also be interpreted as being offensive or illegal. I will explain all of this. To Native American people, those who built these mounds long ago, are not considered dead people. They are still very much alive. Their stories and songs still survive today. Next, in southeastern cosmology, everything has a form, substance, function, purpose, and place. It has a reason for being here and is part of Mother Earth. They serve various functions. They are sometimes benchmarks between the sacred and the profane. I know this is a difficult concept to explain to people of European background who only have a concept of the earth and land that is to be exploited. Not realizing that you are killing yourselves in the process of using and abusing the land. Even though these places are long since abandoned and no longer in use, to Native American people, they are still powerful places, and very much alive. On dark nights, one might hear dancing where there are no physical dancers. Ethereal beings will remain for centuries after the physical people have gone. To the astute observer, they will know. We know from archaeological evidence, that even after these places became abandoned, that people still stopped by here and visited for centuries later. That is why these mounds are to be respected and to be treated with reverence. Do not abuse these places. Leave them as you found them. Remember the signs at all the National Parks? “Leave only footprints; take only pictures.” Do not pull off chunks of shells in your video to show people. This is unnecessary. If you see any artifacts laying on the ground, just leave them there. Do not pick them up. Which brings us to the next point about the mounds. The Florida Statutes of disturbing archaeological resources on state lands. In your YouTube videos, you may have unknowingly violated state statutes. And you have filmed it all on video. It could be interpreted as such, when I see you break off chunks of the mound to show everyone. I am not saying that anything is going to happen to you, but someone could interpret it as damaging an archaeological resource. If you pick up pieces of pottery and show it on camera, you can be charged with collecting without a permit. Even if you throw it back. I am not saying that this is going to happen, but you are opening yourself up to a whole lot of trouble if that is how I am reading the administrative code. The law is broad and vague, which can easily get you into trouble. But, don’t believe me; you can read it yourself with the links below. Enjoy visiting these places, but do so with the greatest of dignity and respect as you would the home of a friend.